Yonked :: Diary of a New Home: A long life filled with sorrow, hardship, and frustration. A long life filled with sorrow, hardship, and frustration. I'm sorry to say that my son is in for a long life of hardship, sorrow,and frustration. 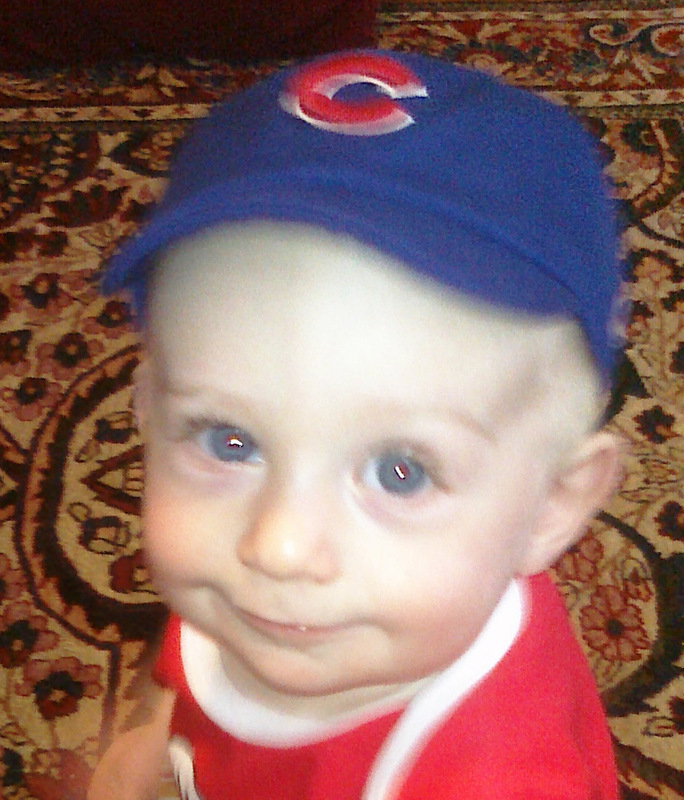 You see, my son is more than likely going to be a Cubs fan. His grandfather, his uncle, his great uncle, his cousins, and even sometimes his mom are all Cubs fans. And not just regular crazy Cubs fans. I'm talking dyed in the wool, wears Cubs underwear, watches every pitch, bought a house near the field so you can walk to the games kind of Cubs fans. And you know what that means. 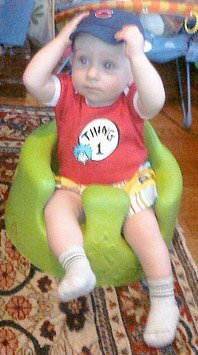 His grampus gave him a cubs hat, and while we didn't go to a game, or watch one on TV (I'm trying to limit the amount of tragedy that enters my household) I thought he could practice watching a cubs game. Comments on "A long life filled with sorrow, hardship, and frustration."